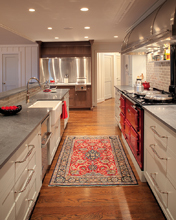 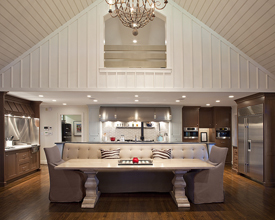 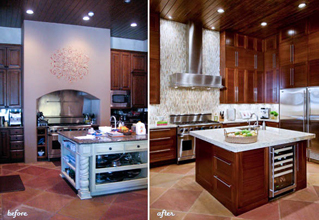 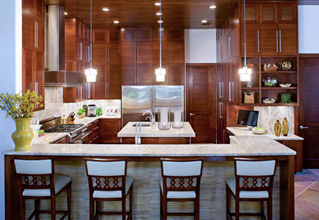 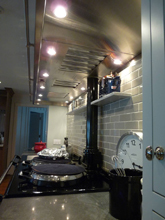 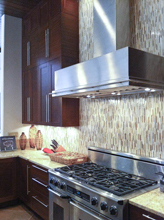 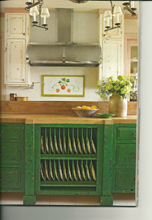 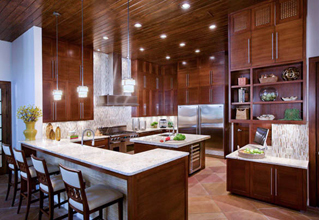 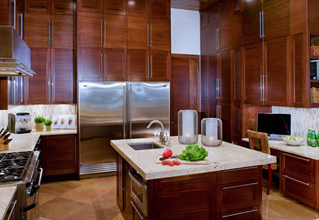 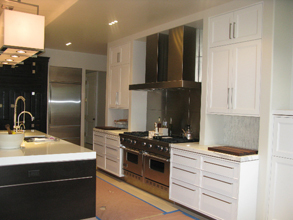 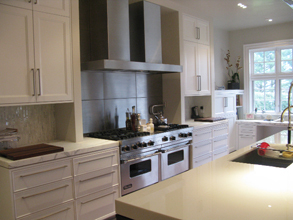 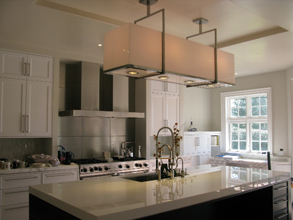 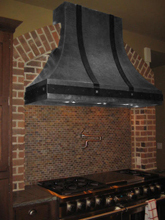 Custom Range Hoods - #6508 | Handcrafted Metal Inc. 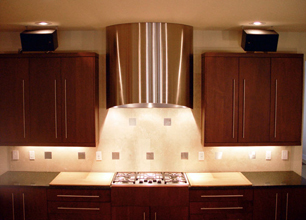 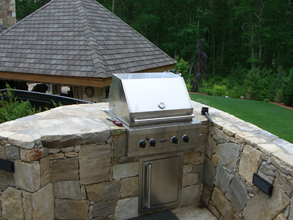 The micrograin straps reflect light more brightly than the matte finish hood, providing contrasting colors in stainless. 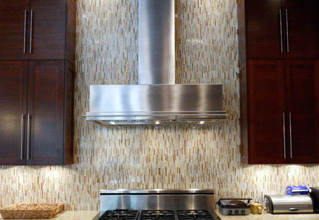 The parallel curves emphasize the sweeping front. 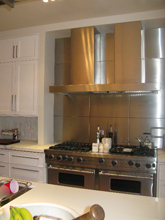 Welded 16 gauge stainless steel, matte finish.